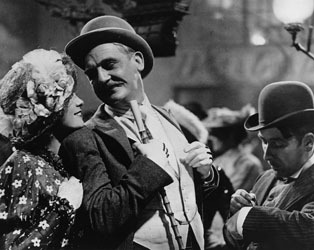 ﻿ Irish Film Institute -WIN TICKETS TO THE THREEPENNY OPERA! WIN TICKETS TO THE THREEPENNY OPERA! As part of a wider programme on the work of Bertolt Brecht and Kurt Weill taking place in advance of June’s co-production between Rough Magic Theatre Company and Opera Theatre Company of The Rise and Fall of the City af Mahagonny, we are pleased to present a screening of The Threepenny Opera, directed by G.W. Pabst (Pandora’s Box). The IFI & Goethe Institut Irland present The Threepenny Opera at the IFI on Thursday, May 29th at 18.15. BOOK NOW. We have two pairs of tickets to give away to this event! Simply answer the following question. Who directed The Threepenny Opera?